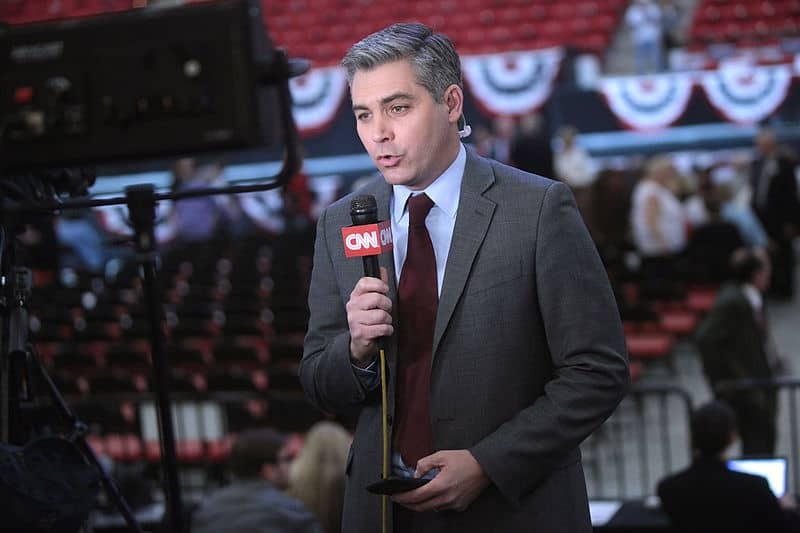 It would seem the war between CNN’s Jim Acosta and the White House is far from over. The CNN correspondent received a letter from the Trump administration following the restoration of his White House press pass on Friday, informing him that it would suspend his press pass again at the end of the month. The Daily Beast reported that the Trump administration plans to limit Acosta’s White House access once more, as soon as the temporary court order that forced it to reinstate Acosta’s press credentials expires. Judge Timothy J. Kelly ruled in CNN’s favor and criticized the White House’s decision to arbitrarily suspend Acosta’s press pass. He issued a two-week court order forcing the Trump administration to reinstate Acosta’s press access. The two-week order will expire next Friday. Acosta had his White House press credentials revoked when he became the target of Donald Trump’s ire after asking a series of questions at a press conference about the president’s inflammatory comments concerning a migrant caravan traveling towards the US border. Trump called Acosta a “rude, terrible person” and later suspended the reporter’s press pass, preventing his attendance at future White House press conferences. According to the Daily Beast, the White House justified the suspension by claiming Acosta placed “his hands” on an intern who attempted to take the microphone from Acosta while he addressed several questions to the president. Sarah Huckabee Sanders later shared a video on social media that had been doctored to make the incident appear worse than it was. In an interview on Friday, following Judge Kelly’s ruling, Trump told Fox News he would not tolerate reporters “acting up” in the future. He said, “if I think somebody is acting out of sorts I will leave”.